Bland, astringent, cool; heart meridian entered. 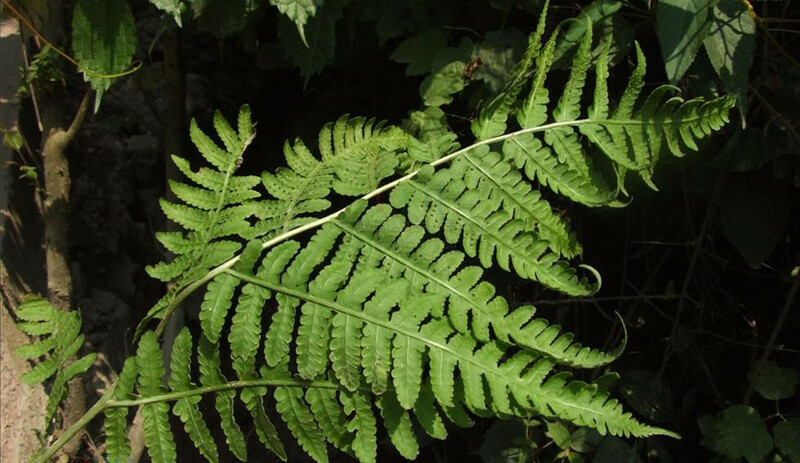 The drug is the dried or fresh whole herb or fresh leaf of Dryoathyrium okuboanum (Mak.) Ching (Family Athyriaceae), growing in scrubs along woods, or along streams near forests, and distributed in Jiangsu, Zhejiang, Anhui, Fujian, Hunan, Hubei, Guangxi, Sichuan and Yunnan of China. Clear heat and remove toxicity, promote the tissue regernation and astringe the wound. Furuncles of lower extremity, unhealing ulcers, swelling and pain of eyes. Decoct 3~9 g. Proper dosage is for external application, pounded for applying.